*Originally published on May 15, 2014 by Jennifer Wood Media. 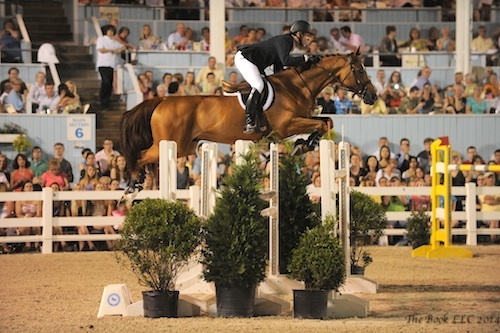 Devon, PA – May 15, 2014 – The Devon Horse Show & Country Fair welcomes another year of world-class show jumping competition in the Dixon Oval, with open jumper competition beginning the evening of Tuesday, May 27, and continuing through Saturday, May 31. 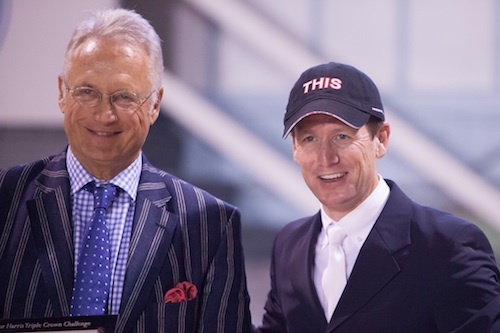 Devon will play host to the top show jumping riders in North America as they compete at one of the most historical and renowned shows in the United States. The $100,000 Grand Prix of Devon also serves as the first leg of the $200,000 Taylor Harris Insurance Services (THIS) Triple Crown Challenge, which awards $200,000 to the rider who can master three of the East Coast’s toughest grand prix – the $100,000 Grand Prix of Devon, the $250,000 FTI Hampton Classic Grand Prix, and the $250,000 National Horse Show Grand Prix. The rider must win all three classes on the same horse within the same season. Thursday, May 22, will be the first day of competition for Devon, which continues through Sunday, June 1. 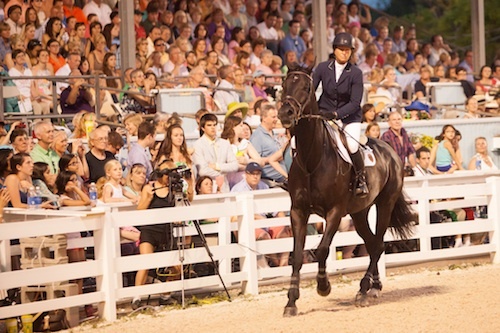 The Devon Horse Show hosts 11 days of top-tier competition across multiple breeds and disciplines, showcasing the best riders and horses in the country. Equitation, hunter, and jumper competitors must qualify for a coveted entry to Devon, which is awarded based on points accumulated at other top horse shows in the country. Spectators will be treated to world-class show jumping, equitation, show hunter, driving, and American Saddlebred and Hackney divisions, with show jumping competition highlighted at the $100,000 Grand Prix of Devon taking place under the lights on Thursday, May 29. For those unable to attend the Devon Horse Show in person, they can still watch every single round of competition thanks to continuous live-streaming from the USEF Network from every class at Devon. Live-streaming every round of every class is new for the 2014 show, and Devon show manager Peter Doubleday is thrilled for the show to be offering increased coverage. Friends, family, and fans of the riders at Devon won’t have to miss a minute of the show thanks to our new, expanded broadcasting schedule with USEF Network. Devon is a show unlike any other, and we wanted to enable viewers to be able to experience Devon from wherever they may be,” said Doubleday. McLain Ward, Olympic gold medalist and winner of the 2013 Grand Prix of Devon, will return in 2014 to defend his title with Rothchild and is looking forward to have another shot at the THIS Triple Crown Challenge. “It’s a great opportunity, and I think it’s a great perk. It’s a real challenge. To try to win three major classes with one horse like that is pretty hard to do, as we’ve seen. But if you can win the first one, there is always a chance! We’ll see what happens,” Ward said. Rothchild is fresh off a win at the Longines Global Champions Tour in Antwerp, Belgium, and will return to the show ring for the first time at Devon, a show that Ward makes sure to never miss. Sydney Shulman of Greenwich, CT, is no stranger to the atmosphere at Devon, but 2014 will be the first year that she takes on the big names like Ward in the open jumper division. Shulman first started at Devon seven years ago in the Small Pony Hunter divisions and finished her last junior year there in 2013, where she showed across the junior jumper, equitation, and hunter divisions. 2014 will be her first year in the open jumpers with her horse Quidam 13. Like Ward, Shulman also enjoys the impressive atmosphere of the Dixon Oval, the central attraction each year for competition. “I love how it’s contained. It’s only focused on that main ring, which is nice. Luckily I’ve shown there enough that I know the ring. Doing the equitation there helped a lot because you have to use every aspect of the ring. I like more pressure, so when it’s one ring and everyone is watching, it’s fun,” Shulman described. You can join in the jumper action at the Devon Horse Show by purchasing tickets at www.devonhorseshow.org. Don’t miss the country’s best show jumpers at this spectacular event! The Devon Show Horse Show & Country Fair, founded in 1896, is the nation’s oldest and largest multi-breed outdoor horse show. It is one of 16 United States Equestrian Federation (USEF) Heritage Competitions. The 11-day event attracts over 100,000 visitors annually and is one of the largest volunteer based fundraising events in the country. Proceeds from the event benefit Bryn Mawr Hospital. While attracting top competitors from around the world for events such as the $100,000 Grand Prix of Devon (Thurs., May 29), the event remains one of Philadelphia’s premiere traditions, offering great food, boutique shopping, and rides, games, and events for the whole family. Tickets are on sale now!